Home » Are You Ready To Conquer? Our Team at Conquer the Wall Marathon was started with the dream of allowing International and Chinese runners the opportunity to run and experience as much of the Great Wall of China as possible. There are many Great Wall Marathon races to choose from. Conquer the Wall Marathon has zero road sections and spends more than 90% of the event running on the wall itself. It is organized by North American ultra runners and a sponsored UTRMA event. We try to bring some of the US conveniences and flavor in hopes of making your race experience the best possible. This is our 3rd year putting on this event, and 2nd time in Jinshanling. We would like to see Registration grow, and become the best marathon available on the Great Wall. Follow us on Facebook. 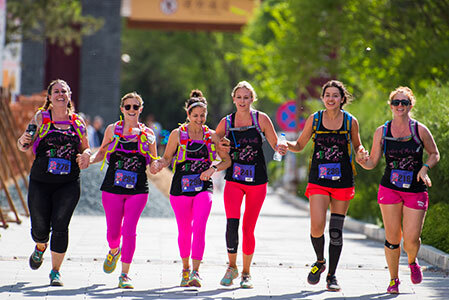 Our Conquer the Wall Marathon site will provide you with the best information needed for Race Preparations, Sign Up, Hotels, VISA information, and local tours around Beijing. 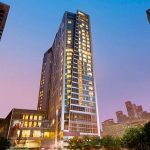 Check out our blog for updates, Beijing food, and things to see and do before and after the race. Register now before the prices go up in 2018. Not sure you want to run? We are looking for volunteers also to help out with Conquer the Wall Marathon. Our Photographer will help capture your moments through the camera eye, see this years Gallery. You can read about him, see his work, and see his blog travels. Our friends at Running Shots are stationed at various Wall Towers awaiting your run too. And our great support by NW Endurance Events for their support in helping to put this Marathon on. If you plan to be in Pacific Northwest area, contact there here. We were featured on the China Global Television Network on May 17th. You can see the event videos on YouTube too, Conquer the Wall Marathon, Conquer The Wall – Half Marathon, 2017 Conquer. We also want to thank Lamai Fitness for being our official training company. And, our friends at NW Endurance Events for their great support in helping with this event. It’s time to challenge yourself for the adventure of a lifetime, Join Us!